Seeta Eye Centers (Poughkeepsie) - Book Appointment Online! 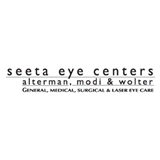 Seeta Eye Centers is a comprehensive eye care center. The eye physicians and surgeons and their staff are dedicated to enhancing the quality of life of every individual they treat by helping each to see his or her best, and by preserving and protecting their patients' vision and eye health throughout life. Our staff is committed to responding compassionately to our patients' individual needs and to advancing the highest standards of comprehensive eye care. Very personable, reassuring and clear. His office seems to have up-to-date equipment. His assistants were professional and helpful as well. Highly recommended! The office did not get my appointment from Zoe doc but saw me anyway. It was quick and everyone was very nice.